See if you can spot Roe deer – the males have relatively short antlers, typically with six points, which they begin to grow in November. Slender, medium-sized deer, with no tail, they are mostly brown in colour. They have a paler, buff patch around the rump. 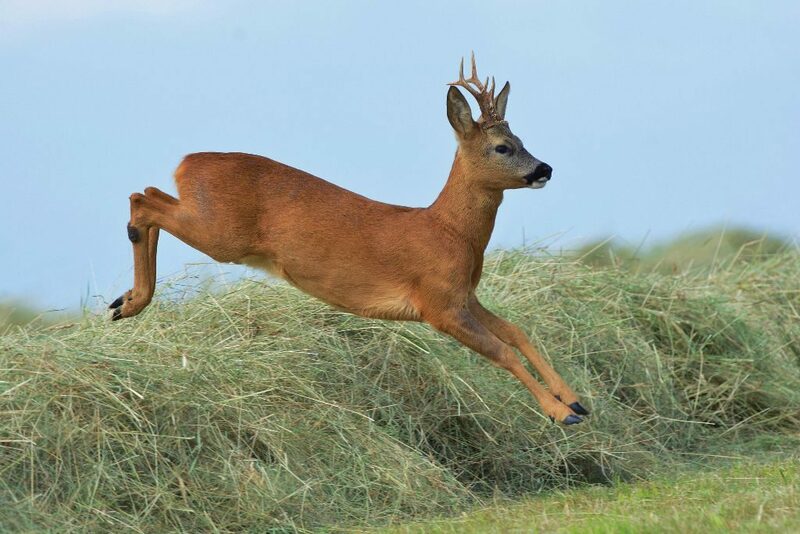 Roe deer live in areas of mixed countryside, with farmland, grassland, heathland and woodland. Also look out for Hornet mimic hoverfly – as its name suggests, it is an excellent mimic of the hornet but is harmless. It can be distinguished from the hornet by its larger eyes, broader body and lack of sting. 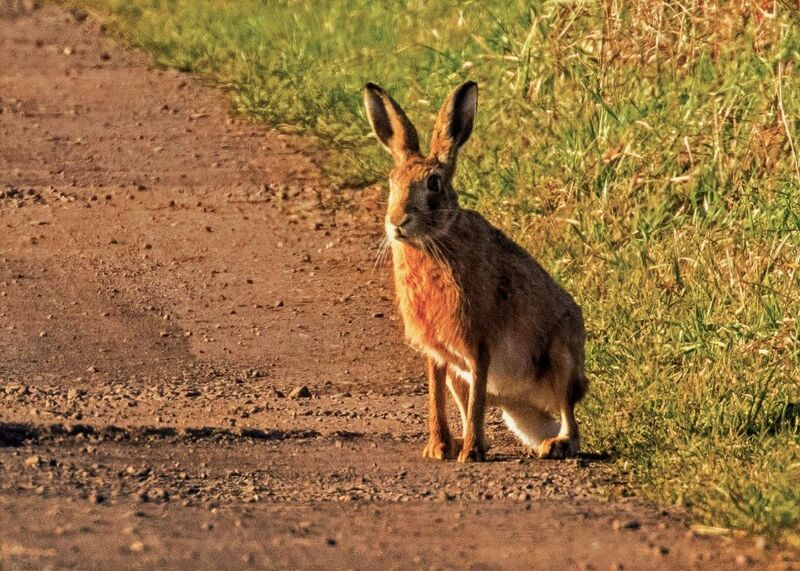 See if you can spot the Brown hare – it grazes on vegetation and nibbles bark from young trees and bushes. These hares are commonest in grassland and at woodland edges. They are a golden-brown colour, with a pale stomach and a white tail. They are larger than rabbits, with longer legs and longer ears with black tips. 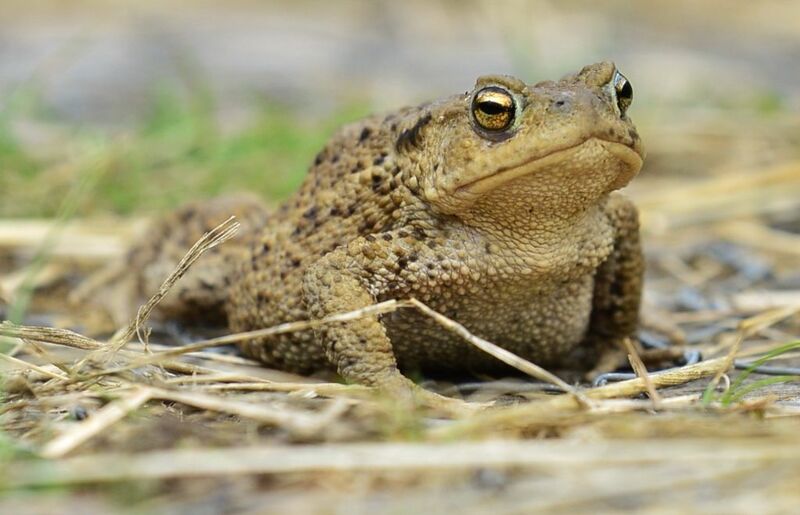 See if you can spot the Common toad – famous for its mass migrations back to breeding ponds on the first warm, damp evenings of the year, often around St Valentine’s Day. 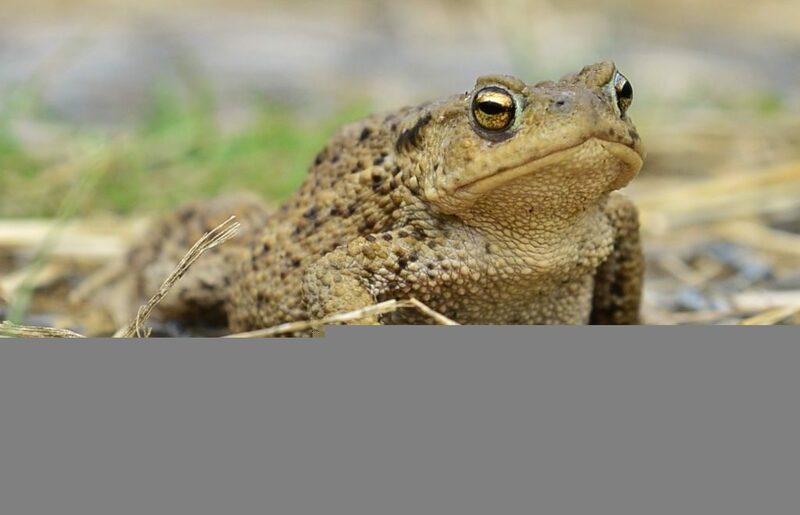 Common toads are amphibians, breeding in ponds but at other times feeding on dry land in woodland, gardens, hedgerows and tussocky grassland. They have olive-brown, warty skin and short back legs, and they walk rather than hop. Also look out for the Brimstone butterfly – seeing this pale-yellow butterfly on a flower on a sunny day is one of the first signs of the seasons changing. 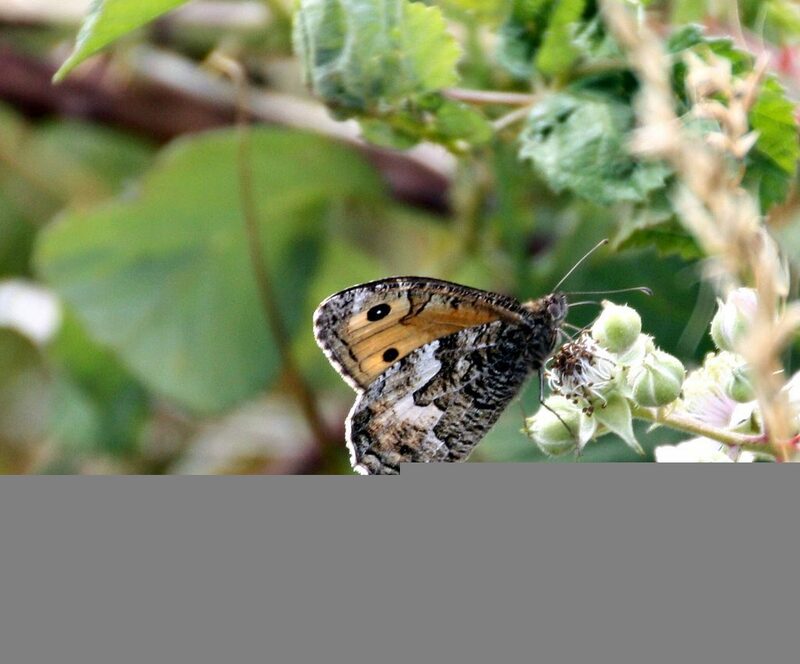 See if you can spot the Grayling butterfly – a medium-sized butterfly, this is a creature of sunny places: the adults spend much of their time sunbathing on the ground, with their wings closed. Adults are on the wing from June to September. 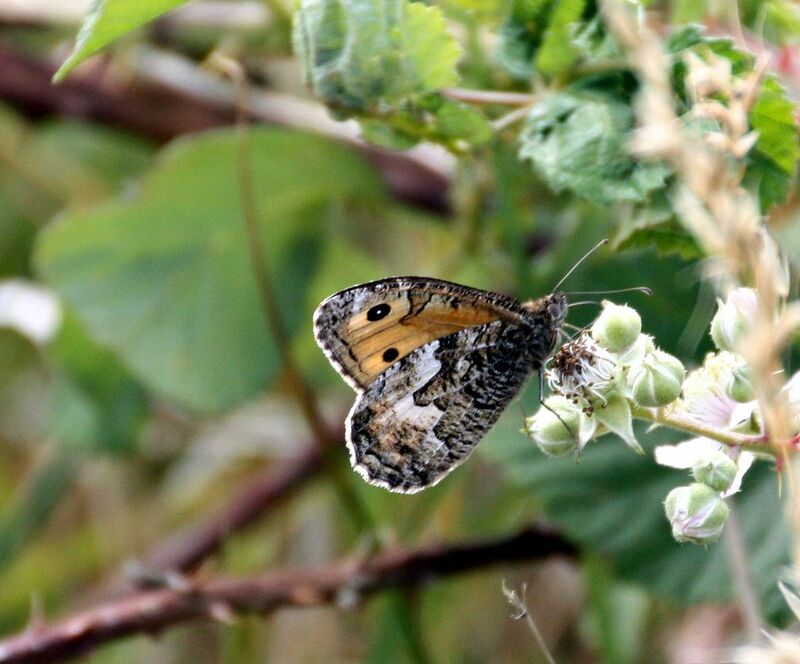 Their combination of orange and brown markings, with two large eyespots on the underside of the forewing and one smaller eyespot on the hindwing, is unique to the grayling. Also look out for the Common pipistrelle – our smallest and most common bat. It has dark, golden-brown fur, a slightly paler underside and a darker mask around the face.